The more experience I have with being in touch with energy, the more aware I have become of certain larger energetic influences on myself and my clients. I have always followed astrology –not every day, but certainly monthly and I have always been deeply curious about the sun, moon and stars and their influence on us. Intuitively it makes sense if the sun and the moon can have such deep impacts on our oceans, imagine the impacts it can have on our bodies. According to H.H. Mitchell of the Journal of Biological Chemistry, the brain and heart are composed of 73% water, and the lungs are about 83% water. The skin contains 64% water, muscles and kidneys are 79%, and even the bones are watery: 31%. So of course, we have to feel it on some level – if we are in touch with it. The past few weeks has certainly made me research a bit more about what is going on because in addition to what I have been experiencing, so many of my friends, fellow healers and clients are experiencing agitation, confusion and deep shifts. 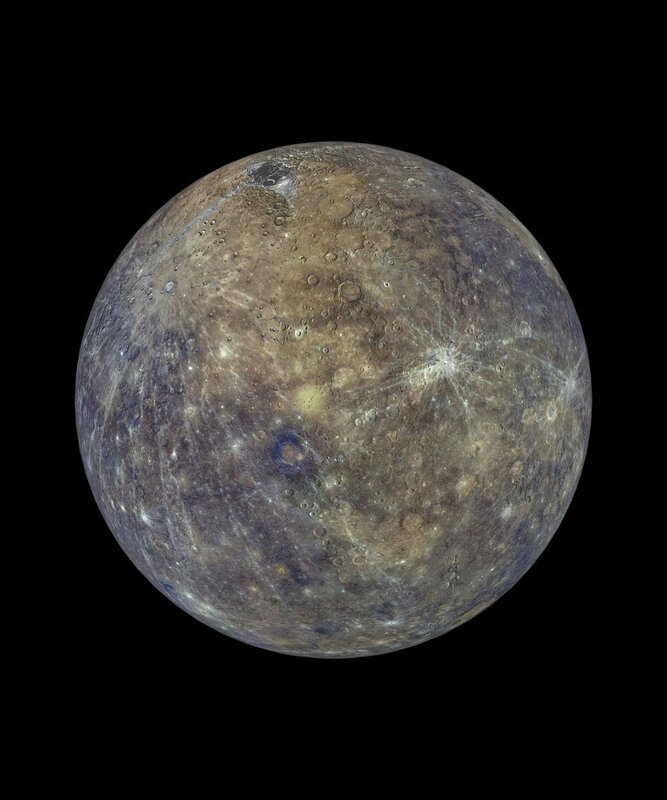 Certainly I have known for over a decade that the times of Mercury Retrograde have an impact on me and those around me. For those who are not familiar with retrogrades, they're periods of time when a planet appears to be moving in reverse. While that backward movement is just an optical illusion, it carries major astrological implications. The summer of 2018 has a total of SIX planets in retrograde. All at one time. With so many planets in retrograde it is a deep reminder to slow down and act more thoughtfully. Think before your leap. All retrogrades are a time to go within and allow us rest, restore, and to replenish. Each planet has its own power and influence but the retrograde in August in the planet of Uranus (the planet of immense change) reminds us that before we can see the change in the world we seek, we must first seek change in ourselves. My father used to use the quote “physician heal thyself” and that feels in alignment with the message of Uranus in retrograde. All of us are on a journey and all of us are being asked to examine our stuff. The good news is we can do that examination outside in nature. August is still summer and we are being encouraged to go outside and listen. As we find ourselves in a summer of change, what direction will we take? Directions chosen at this time have a long reach. These eclipses set the mood for autumn and beyond. If you don’t want to be eclipsed, then look to the light. A Lunar Eclipse reminds us that in order to truly evaluate the light, we have to be willing to walk in the darkness and see what is there. Do you want to create an environment for focus and clarity? Whether it’s diffused or applied topically, Clarity essential oil blend’s refreshing aroma can provide the perfect setting to get things done! Clarity is a blend of Basil, Cardamom, Rosemary, Peppermint, Coriander, Geranium, Bergamot, Lemon, Ylang Ylang, Jasmine, Roman Chamomile, and Palmarosa essential oils. Together, they make the perfect combination to brighten and refresh any space or situation! How do you use Clarity? • Apply it topically to the base of your neck and back of your head to start your day in the morning. • Have a million things on your to-do list? Apply a few drops of Clarity to your wrists or diffuser jewelry for a clarifying aroma wherever you go. • Diffuse in your office or while your kids do homework. • Apply topically on your feet after a long day. • Inhale or diffuse during moments when you need to refresh throughout the day. 8/12/18 @ 10 AM: Sound Healing with The Crystal Bowls and a special introduction to the Crystal Harp Lyre with Rosemary B. Lasher. 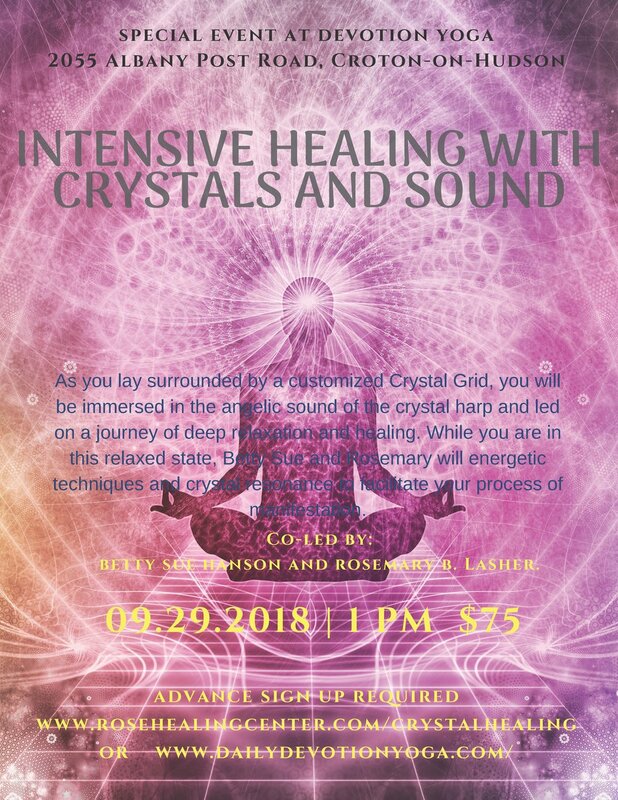 9/29/18 @ 1 PM Special Event: Intensive Crystals & Sound Healing at Devotion Yoga . Co-led with Betty Sue Hanson and Rosemary B. Lasher. 11/18/18 @ 10 AM Sound Healing with the Crystal Harp. We here at Rose Healing Center stand ready to help you become more centered, grounded, peaceful and healthy. Our practitioners, Dr. Pam Charles, Betty Sue Hanson, Rocio LaRosa, Mary Ellen O’Brien, and myself are ready to help.